Do you have a favorite breakfast item that you make a couple of times a year? 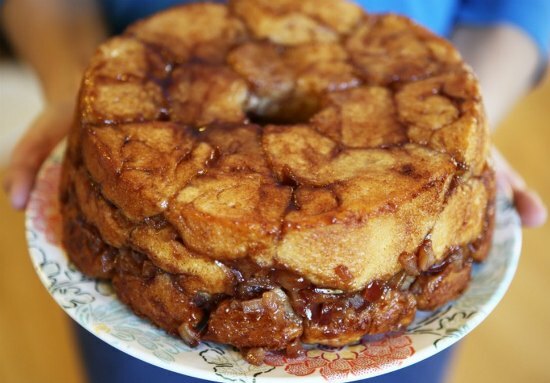 Cinnamon rolls might be an option or you can make something similar like apple cinnamon pull-apart bread. This type of treat is a great way to use some freshly picked apples. The first thing you need to do when you want to make apple cinnamon pull-apart bread is prepare your bread dough. This is similar to preparing any other type of bread dough, but you will be adding sugar for added flavor. Make sure to pre-heat your oven when you are making the dough. You can cut your apples into wedges or chop them into cubes for apple cinnamon pull-apart bread. All tthe apples are used for the filling as you will be layering the dough before it is baked. You can then make a cinnamon sugar topping or make a vanilla frosting.